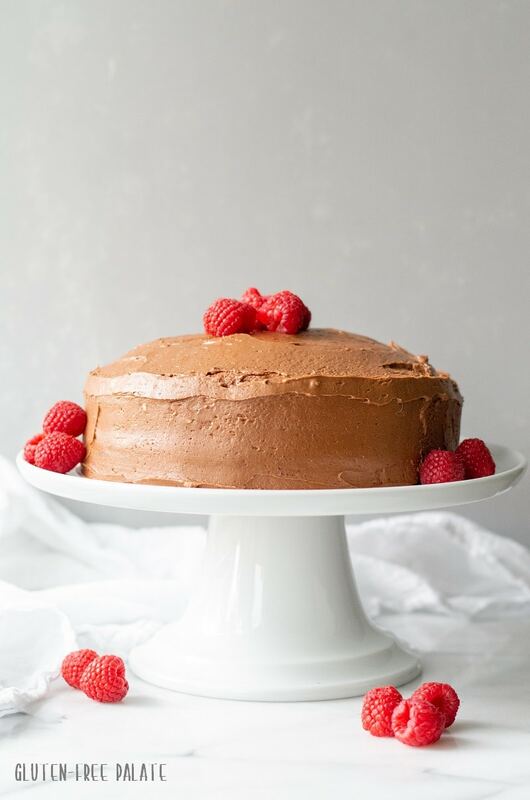 This easy gluten-free chocolate cake is super simple, and has the perfect texture. You won’t know it’s gluten-free! It’s my favorite gluten-free chocolate cake recipe and it will be yours too. And it makes the best gluten-free birthday cake! 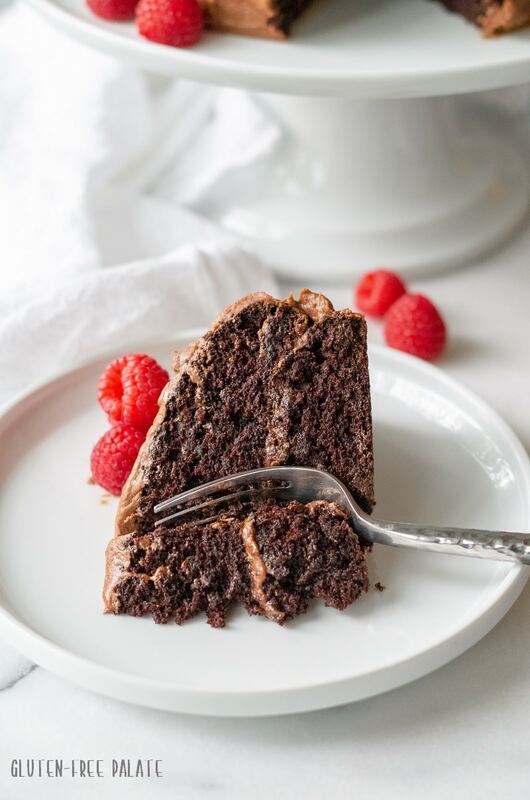 Sometimes you just need a little gluten-free cake chocolate cake to get you through the day. We make this chocolate cake recipe at least once a month. It’s simple, uses minimal ingredients, and it bakes up quick. 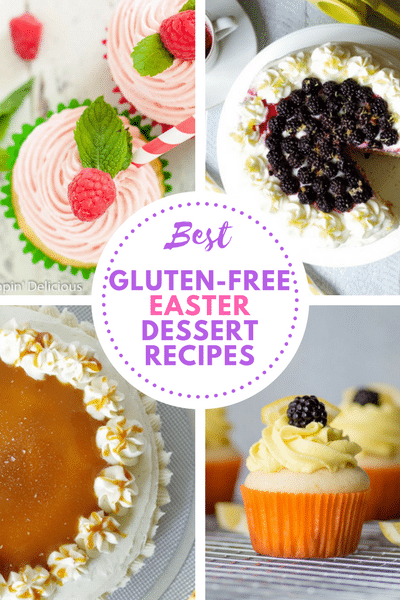 I often find that gluten-free cake recipes are complicated or call for a kazillion ingredients (ok, not a kazillion – but a lot). I don’t have the time or the brain space to bake up crazy big recipes, or recipes that have tons of steps in them. I need gluten-free cake recipes to be simple, have less than 15 ingredients, and require two bowl or less – otherwise my kitchen ends up a massive wreck. You know what I’m talking about right? Piles and piles of dishes, all for one delicious thing – a gluten-free chocolate cake. You might be wondering why it has to be that way. Well, It doesn’t. There are amazing recipes out there, and they don’t take forever to make or require you to hire a housekeeper to clean up after you in the kitchen. You just have to look for them. Give this gluten-free chocolate cake a try and see what I mean. We often use this gluten-free cake recipe to make gluten-free birthday cake. 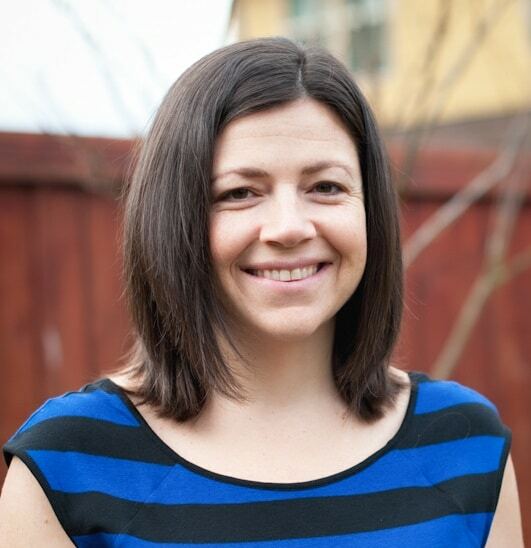 When we first switched over to a gluten-free diet we struggled. Gluten-free recipes were over-complicated and we got frustrated in the kitchen. We were tired of having to hunt down ingredients and even more tired of recipes failing. Chocolate cake was one of the things we missed the most. Not flour-less chocolate cake, not chocolate cake made with nut butters, but regular old-fashioned gluten-free chocolate cake. The kind that is crumbly on the outside, and spongy in the middle. We tried a couple of gluten-free chocolate cake mixes (mind you, this was seven years before this post) and weren’t satisfied. Most of them tasted like grass. It wasn’t until I started creating recipes from scratch that we found our perfect, easy gluten-free chocolate cake. Can I make this gluten-free chocolate cake dairy-free? 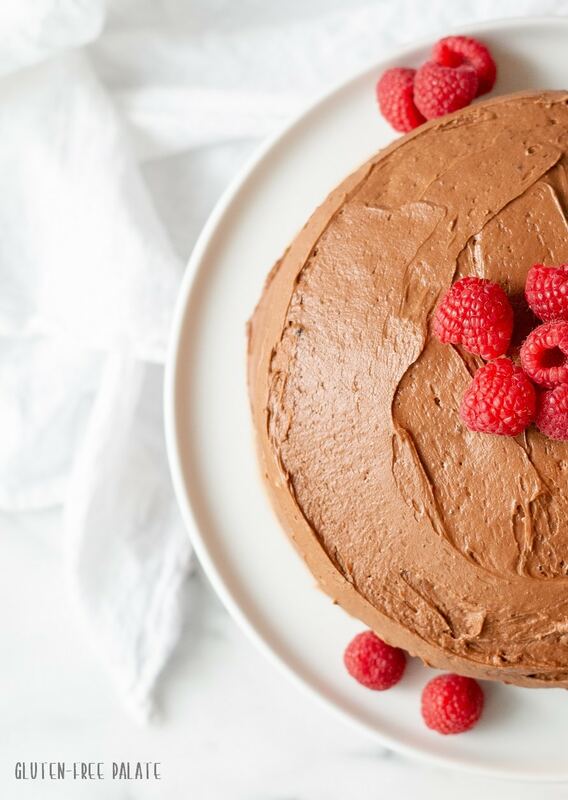 Yes, you can make this gluten-free chocolate cake dairy-free. 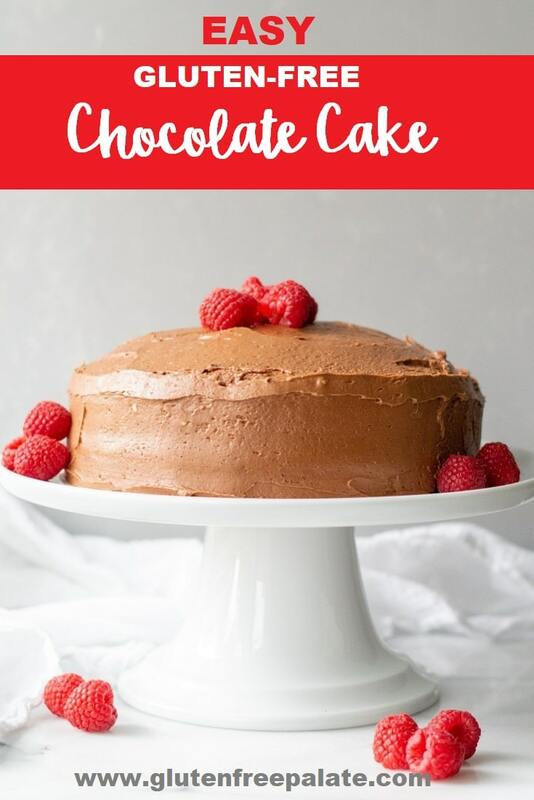 Simply use dairy-free milk in the gluten-free chocolate cake mix and use dairy-free butter in the frosting. Can I make this gluten-free chocolate cake egg-free? I haven’t tried using an egg substitute in this gluten free chocolate cake but a few others have tried it with flax-egg. If you make it egg free please stop back by and let me know which egg replacer you used. If you don’t want to experiment, you could always start with my Gluten-Free Vegan Chocolate Cupcakes. 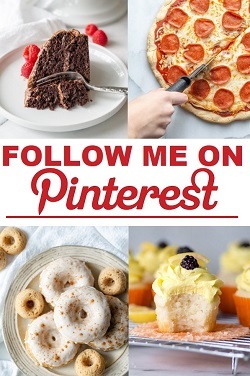 If you are looking for cupcake recipes, just search cupcakes in the search bar on the right. 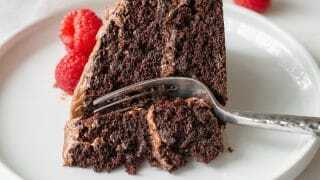 Here is a video of my gluten-free chocolate cupcakes, which uses the same ingredient as this chocolate cake. Why did my gluten-free cake sink? There are several reason why cakes sink, one is from over beating the batter and adding too much air. Also, cakes often will sink when there is too much moisture. This is more common in humid climates where added moisture can collect naturally in ingredients such as flour. When this occurs, cupcakes may rise rapidly and then fall during baking. In higher elevations, the leavening agent works twice as hard and may cause the batter to rise rapidly and sink before it’s had a chance to set up. All these tips are relevant to most cake and cupcake recipes, not just this Gluten-Free Chocolate Cake. 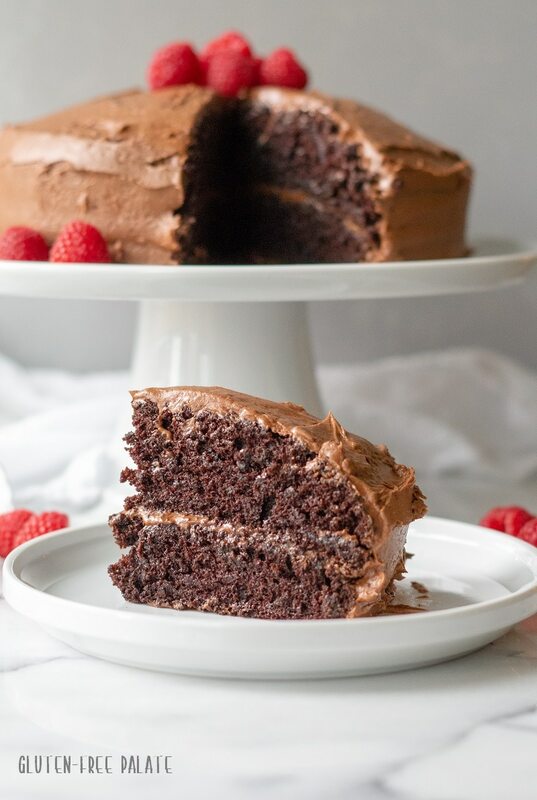 This gluten-free chocolate cake recipe is also in my cookbook, “Sweet & Simple Gluten-Free Baking; Irresistible classics in 10 ingredients or less!” I wanted to share it with you so you can find your happily-cake-ever-after. This gluten-free cake recipe is simple enough that anyone can make it (yes, even the non-baker folks). I hope you enjoy it as much as we do! If you like cake then you’ll also love my Gluten-Free Lemon Cake and my Gluten-Free Vanilla Cupcakes. If you make this gluten-free cake please stop back by here and let me know what you thought! 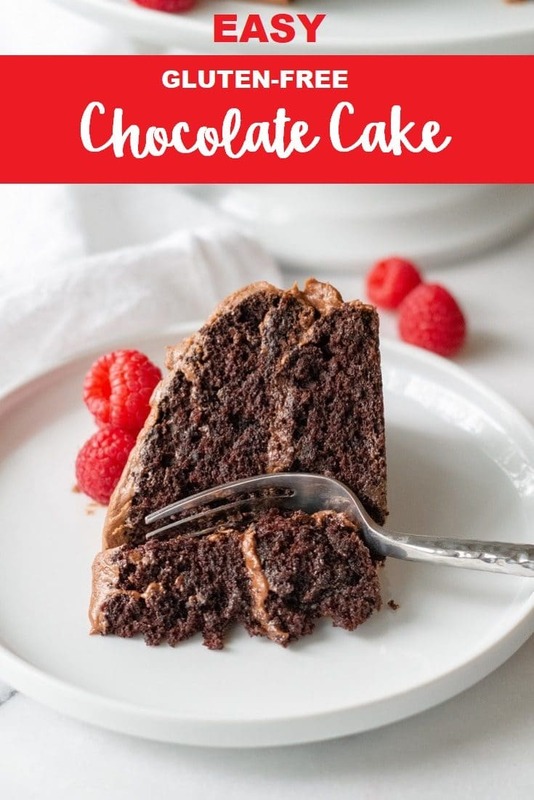 This easy gluten-free chocolate cake is super simple, and has the perfect texture. Preheat oven to 350°F (180°C). Position rack in center of oven. Grease two 8-inch round cake pans; set aside. In a large mixing bowl, stir together sugar, flour, cocoa, baking powder, baking soda, and salt until there are no visible clumps. Add eggs, milk, oil, and vanilla. Beat with a mixer on medium speed for two minutes. Spoon batter evenly into cake pans. Bake for 35 to 38 minutes, or until a toothpick inserted in the center comes out clean. For the frosting: In a medium mixing bowl, beat butter and vanilla until smooth and creamy. Add cocoa powder and beat until combined. Gradually add powdered sugar, one cup at a time. Slowly beat in milk. Beat in additional milk if needed, to obtain desired consistency. I just made this with King Arthur gluten free flour which is my favorite. It came out beautiful! Thank you for sharing. I have celiac disease and have tried many recipes and this is the best!! I am so glad you like this cake! Thank you for letting me know, and for sharing which flour blend you used.